Welcome to my Fun Friday post! 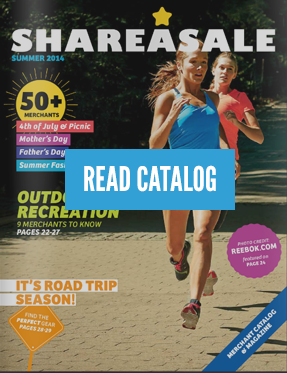 Today ShareASale has made Affiliates’ lives a little easier! Similar to pulling report data into spread sheets, we now offer cut and copy functionality directly off reporting pages inside of your interface! Above each Affiliate report you’ll see a link that says “View CSV Data” when you click on that link, a window will appear that has pulled the data from the screen. You can toggle the data between pipe delimited or tab delimited by clicking the csv button on the top-right hand side of the window. If you view it in tab delimited form you can copy this data, open an excel sheet and directly paste the data into the format. One important thing to keep in mind is the report will only pull in the data from the screen you’re currently viewing, not the entire report. On a completely unrelated note, I just wanted to share that today happens to be my last day at ShareASale. It’s been a terrific 5 years, but I’ve decided to make a move to be closer to family. The last few days I’ve been reminiscing about my years here and the one thing that stands out is the opportunities this company has given me. I’ve gone from a small town southern Illinois girl who took her first flight at age 21, to traveling to 15 different cities these past 5 years. I’ve seen Times Square at midnight, sat behind the Green Monster in Boston, put my toes in the Pacific Ocean, and worn a cowboy hat in Austin. I’ve shaken Jimmy Fallon’s hand from my seat in Yankee stadium, tried my first maple donut in Toronto, and pretended to play golf at some of the best courses in the U.S. all because Brian Littleton took a chance on me 5 years ago. I’m going to miss this amazing company, the terrific colleagues I’ve called my second family and the clients I’ve called friends. Thank you all for making it so difficult to say goodbye! You will definitely be missed, Jessica! What a nice recap of your time at ShareASale – good luck with everything! I’ll miss your smiley face Jessica!